Wash and soak basmati rice in water for 30 minutes. Drain it and keep it aside. Heat ghee in a pan and add cumin seeds. When it splutters, add chopped green chillies and coriander leaves. Then add 2 cups of water and salt. When it starts to boil, add drained rice and mix well. Simple and healthy my favt. 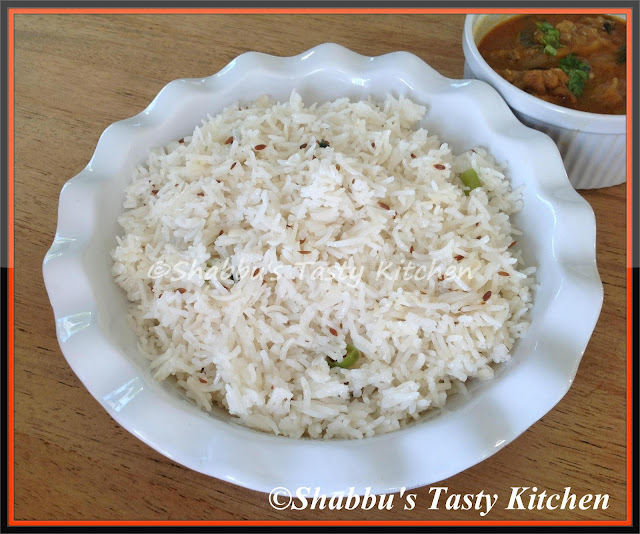 My favorite jeera rice..healthy too.